In the United States alone, people consume just over 100,000 iron and aluminium cans every thirty seconds. With this in mind, Taiwanese design studio Haoshi created a limited-edition series of biodegradable cans made of a cornstarch-based material called PLA that should theoretically decompose after 180 days. But how sustainable can a disposable product be, and can these cans really solve the problem of our worlds depleting natural resources? Read on to find out! 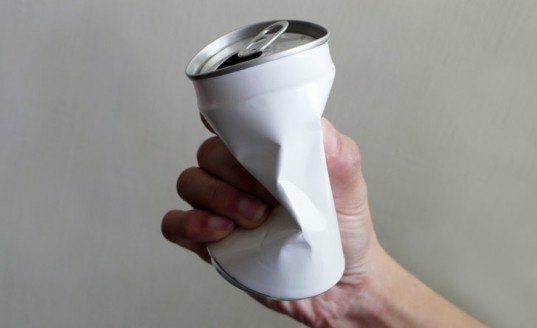 The cans themselves don’t present a problem, as aluminium can be recycled infinitely without a loss in quality. About half of the cans consumed in the US are recycled. The problem is the other half – the vast amount of cans that end up in rivers, on sidewalks and in fields. People’s ignorance when it comes to recycling negatively impacts the world environment and human health, resulting in wasted energy and pollution generated from mining and other processes used to produce new aluminium. Single-use containers are admittedly convenient, but the environmental effects are disastrous. Every can thrown in the bin must be replaced with a new can made from virgin materials, which most people neglect to reflect on after lunch or on the bus. Taiwanese design collective Haoshi has taken it as their mission to solve this sad equation. Working in collaboration with PLA Studio, the team recently released a limited edition of containers. They hope that their concept will replace single-use containers in the future. The can, ironically called Tin Can (even though it’s not metallic) is made of Poly-Lactic Acid (PLA) – a starch material extracted from corn. PLA has the same properties as petroleum plastic, but without the negative effects – it is biodegradable and becomes soil after 180 days in a compost system. The Tin Cans have double-layered walls, making them resistant to high heat and able to keep cold beverages chilled for long periods of time. They have a well-sealed lid which lets one open and close the container as many times as one wishes. The top comes off to refill the can. For those of you that are eager to try Haoshi’s cans out, they are for sale online here. There are competing versions out there as well: One Less Product make one and another is called Eco Can. The various eco-friendly cans are surely easy on the eye, but as a whole the concepts have holes, with the obvious question being “why you should recycle, or indeed discard, a cup that is reusable?” To be able to fill the can you also have to purchase your beverage of choice in some container that very well may be made of PET or aluminium. More products doesn’t solve our problems – making objects from biodegradable materials is a step in the right direction, but those products need to be connected to systems that help people change their behaviour. Without systems that close the loop, the can isn’t much more than a fancy thermos. It’s unclear how much the Tin Cans and it’s competing versions cost to produce, compared to the ones in aluminium, which makes it hard to evaluate the usability of them and how realistic the idea actually is. Perhaps one shouldn’t be too critical of projects on developing level, which these clearly are, but one can’t help to believe that once designers truly take responsibility and design for a closed loop we can take their ideas seriously. That's 3.15 trillion cans a year. Didn't Inhabitat already do a report biodegradable products. When introduced into landfills they produce gases like methane (beneficial sort of; seeing as we can harness it to produce electricity) that may seep out. Besides unless people are putting this in compost bins or something, biodegradability would encourage people to litter because the reaction requires open air. With the exception of metals and machinery parts, recycling is garbage. It doesn't save resources, or energy and it doesn't save trees. It does not generate revenue even in big cities ( New York loses nearly 15 million dollars). If it did than a private provider would pay you to take your garbage off your hands, the municipality does that and pays more than a it is worth on a per ton basis. Sooner or later private industry will find use for landfills by digging and harvesting whatever is in there in the future. The greenest soda is the one which comes from your tap: Get a SodaStream carbonizer which adds bubbles to your tap water, fill the stuff in a sealable bottle (e.g. a Sigg bottle) and if you must, add whatever syrup you are addicted to (just bubbled water is fine too). It's cheap, it's sustainable, the CO2 cartridges have a deposit to make sure they're returned and can get refilled, and you can forget about all the trash which is produced by buying soft drinks in plastic bottles or aluminum cans. 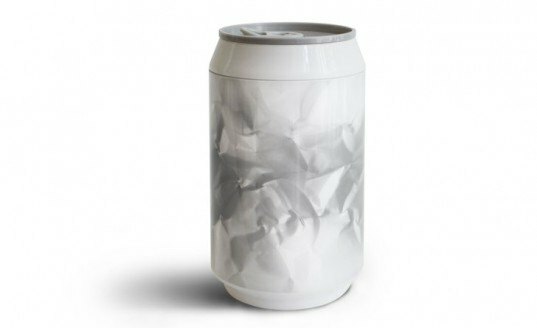 How can we put a stop to aluminium cans not being recycled? 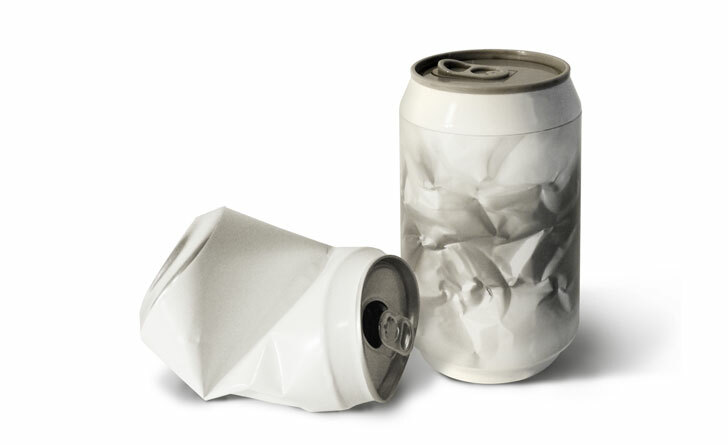 Aluminum cans themselves don’t present a problem, as aluminium can be recycled infinitely without a loss in quality. About half of the cans consumed in the US are recycled. The problem is the other half - the vast amount of cans that end up in rivers, on sidewalks and in fields. People’s ignorance when it comes to recycling negatively impacts the world environment and human health, resulting in wasted energy and pollution generated from mining and other processes used to produce new aluminium. Single-use containers are admittedly convenient, but the environmental effects are disastrous. Every can thrown in the bin must be replaced with a new can made from virgin materials, which most people neglect to reflect on after lunch or on the bus. Taiwanese design collective Haoshi has taken it as their mission to solve this sad equation. Working in collaboration with PLA Studio, the team recently released a limited edition of containers. They hope that their concept will replace single-use containers in the future. The can, ironically called Tin Can (even though it's not metallic) is made of Poly-Lactic Acid (PLA) - a starch material extracted from corn. PLA has the same properties as petroleum plastic, but without the negative effects - it is biodegradable and becomes soil after 180 days in a compost system. 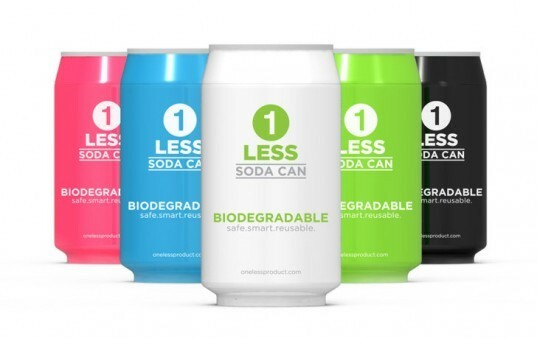 The various eco-friendly cans are surely easy on the eye, but as a whole the concepts have holes, with the obvious question being "why you should recycle, or indeed discard, a cup that is reusable?" To be able to fill the can you also have to purchase your beverage of choice in some container that very well may be made of PET or aluminium. More products doesn’t solve our problems - making objects from biodegradable materials is a step in the right direction, but those products need to be connected to systems that help people change their behaviour. Without systems that close the loop, the can isn’t much more than a fancy thermos.